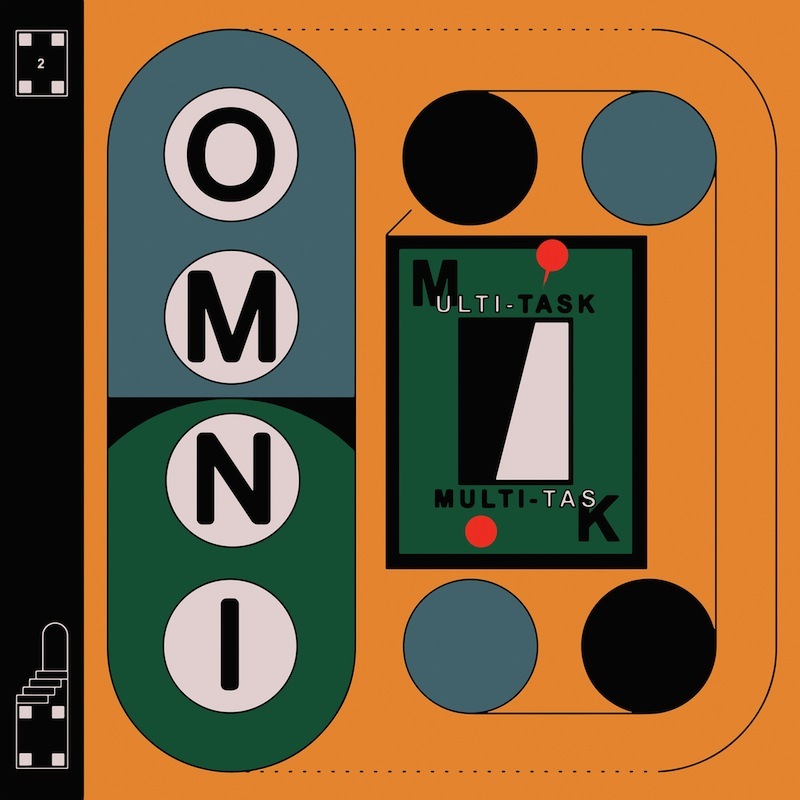 Omni might be a trio of indie-rock survivors from the likes of Deerhunter and Warehouse, but they come across like a post-punk band straight out of the early ’80s, from their wiry, jumpy rhythms to the technical appearance of their new album Multi-task’s cover art. That corner of classic alternative music is not mined too often these days, at least not to this extent, and Omni go all in on it — their songs are infectious, bright series of sharp guitar licks and sing-speak vocals. It’s not quite reinventing anything, but if you’re the kind of person who has proclivities for the less brooding strains of post-punk, Omni are the new masters of it. Atlanta trio Omni seemed to naturally materialize via 2016’s year-end lists and retrospectives after the release of their increasingly inescapable debut “Deluxe”. The record flew largely under the radar due to criminally minimal press coverage during album rollout, but by the time December approached, Deluxe was causing critics and fans to perform a collective double take—and for good reason. Omni’s nuanced and relaxed approach to their post-punk ventures is a refreshing take on the genre; their music never reeks of pretension or severity in comparison to their contemporaries. Multi-Task, is their latest release, It unquestionably puts the emphasis on what the band does best. Omni find a balance between hazy production and jagged syncopation, carving a pop niche out of spindly guitar hooks and sharp melodies. While Deluxe may have been last year’s hidden gem, Multi-Task confirms Omni’s longevity. Led by Philip Frobos and ex-Deerhunter affiliate Frankie Broyles, the group pairs comparable musicians in collaborative circumstances that, just kind of happened. Both members also craft lean homespun punk outside their work with Omni; Frobos works with Atlanta art punks Carnivores while Broyles’ lo-fi solo excursions lay the foundation of Omni’s sound. On Multi-Task, they begin to push the boundaries set by Deluxe, while maintaining its assured composure and distinct style. Upon first listen, it’s easy to pinpoint the direct influence of bands like Television, Wire and Ought, all are touchstones for the feel of Omni’s previous material. The album kicks off with lead singles “Southbound Station” and “Equestrian,” providing a two-part intro to Omni’s M.O. Each track organizes the band’s wiry hooks of nimble basslines and jittery guitars through detailed arrangement and airtight technique. Perhaps the catchiest moment on Multi-Task can be found next within the first 20 seconds of “Choke,” an instant standout and personal favorite. The song’s capering rhythms and inescapable melodies set a qualitative tone for the rest of the album, thoughtfully executed through distinct variance between later tracks. There are brilliant little epilogues tacked on to the end of “Type” and “Calling Out,” the latter of which is most effective in applying this technique. At its two-minute eight-second mark, the track beelines toward an urgent and furious bass-driven finale. Within just 30 minutes, Multi-Task manages to pack 11 superb, sub-three-minute ditties, each thriving on pure musical instinct. The album simultaneously shows Omni’s logical progression and refined experimentation, pushing the band’s already novel concepts into a deeper and more engaging territory. They combine the past and present, emulating Devo’s fidgety agitation on “Tuxedo Blues,” and plucking straight from the Parquet Courts playbook on “First Degree” and “Date Night.” Through an unspoken calm, Omni keep their cool. Looking back at the tracklisting, it’s equally as difficult to find a favorite as it is to find a least favorite, especially since there aren’t really any bad songs on the album. Front-to-back, Multi-Task is a first-rate take on post punk, maintaining cohesion and song strength throughout. Hailing from Atlanta, Georgia, Omni only came together in the early part of last year after singer and guitarist Frankie Broyles left the band Deerhunter. However, despite being active for little over eighteen months, they’re already on album number two with this month’s Multi-Task on Trouble in Mind Records set to continue where last year’s debut Deluxe left off. 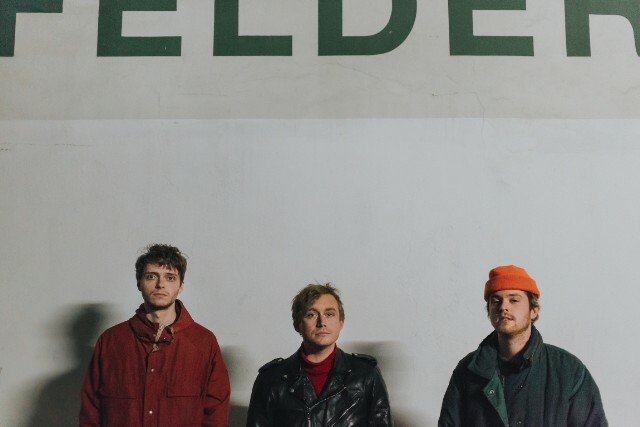 The trio features ex-Deerhunter guitarist Frankie Broyles, former Carnivores member Philip Frobos (on bass and vocals), and Doug Bleichner on drums. The follow up to their 2016 debut album Multi-task is 11 tracks worth of sonic goodness, heavy on thick and fun guitar licks matched by equally complicated but light lyrics. The Atlanta trio Omni make taut post-punk that’s so charged up it can’t help but bleed into the red. Their slashing guitar chords and herky-jerky beats spark until they seem to singe the air, crackling out of the speakers like fireworks. They continue the fiery snap of their 2016 debut album, “Deluxe “. The band rapidly darts around Philip Frobos’ on vocals alongside ex-Carnivores member Billy Mitchell and Philip Frobos. deadpan singing rises to match the rhythmic adrenaline. Yet, OMNI sounds brighter than they have before. Perhaps it’s the jangling chimes of Frankie Broyles’ guitars (formerly of Deerhunter) which pushes the music towards the clouds. It may seem odd to call this band tense and wiry but also uplifting. The restrained energy of their first album, “Deluxe,” alludes to a minimalistic sound from another era (specifically, the late ’80s). There’s nothing not to like about this band. Taken from their debut album “Deluxe”, which came out July 8th, 2016 on Trouble In Mind Records (www.troubleinmindrecs.com) Also the band have a new 7″ vinyl “Fever Bass,” their adjective “kinetic” sounds seems both appropriate and inadequate. The upcoming 7″ that will mark the band’s first new music since the LP. “Fever Bass” is an alacritous romp, loose but sharp. There continues to be a discrepancy between Frobos’ words and his tone, as he delivers the opening lyric, “Every day I fall into this crisis,” with a calculated distance that seems to reflect mysticism as much as sardonicism. Yet ultimately “Fever Bass” is oddly cheerful, with ricochetting guitars that snap like rubber bands but put “Fever Bass” on repeat and you might find your spirits raised. Debut albums often connote a lack of experience, but in Omni’s case, a band consisting of former members of Deerhunter and Carnivores, the newness is simply in the combination of talent. With one of the strongest opening tracks of 2016 (“Afterlife”), Deluxe is an intensely satisfying blend of driving, lo-fi garage rock and non-standard melodies/progressions that show the band’s true capabilities. For as catchy and complete as this album is, it’s criminal it hasn’t received more attention. Fans of Television, Wire and the type of hooky, nuanced rock that ages incredibly well would do right to hastily add this their collection. Brainy, hooky, and energetic blend of Postcard pop, angular post-punk, and scrappy D.I.Y. punk by ex-members of Deerhunter and Carnivores. Led Zeppelin continue their extensive reissue campaign with PHYSICAL GRAFFITI being released exactly 40 years after its debut, on February 24. The Led Zeppelin reissue series will continue with the re-release of the legendary English rockers’ 1975 double album “Physical Graffiti”. The remastered deluxe edition of the band’s sixth studio album will drop on February 24th, exactly 40 years after the original debuted. The new edition of “Physical Graffiti” comes after the reissue of Led Zeppelin’s first five albums in 2014. 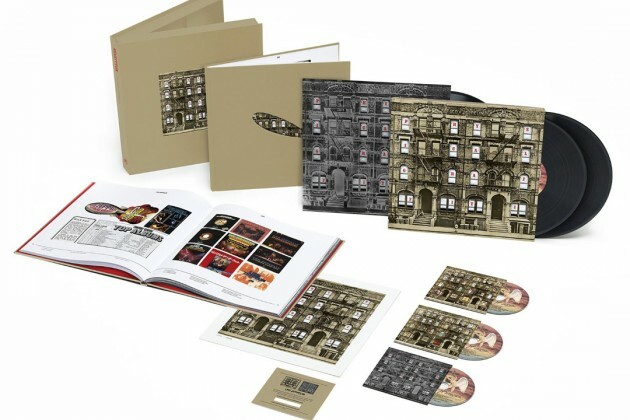 As with the previous deluxe editions, “Physical Graffiti” has been newly remastered by guitarist and producer Jimmy Page and is accompanied by a companion disc filled with previously unreleased music. The album will be released on multiple CD, vinyl and digital formats as well as a Limited Edition Super Deluxe Box. News of the first Three Led Zeppelin albums to be reissued on the 2nd June 2014 has been revealed. 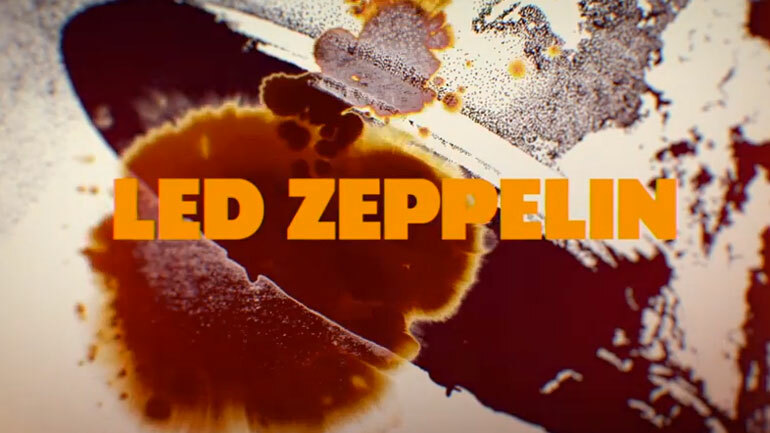 the new versions of Led Zeppelin, Led Zeppelin II and Led zeppelin III, will feature unreleased tracks, Live gig, and outtakes and backing tracks. All taken from the Zepp archive the etras will be on a second disc for all three albums. At present it is all work in progress with Alternative versions, rough mixes and tracks recorde at the time of each album sessions. Led Zeppelin will include a Nine-song live set from a gig in Paris in 1969.
the Wildflowers album is to be re-issued with the deluxe treatment with an extra 10 tracks the 1994 album featured this great track .